Not for us, anyway. Case in point, the illustration to the left. That is Sheffield. 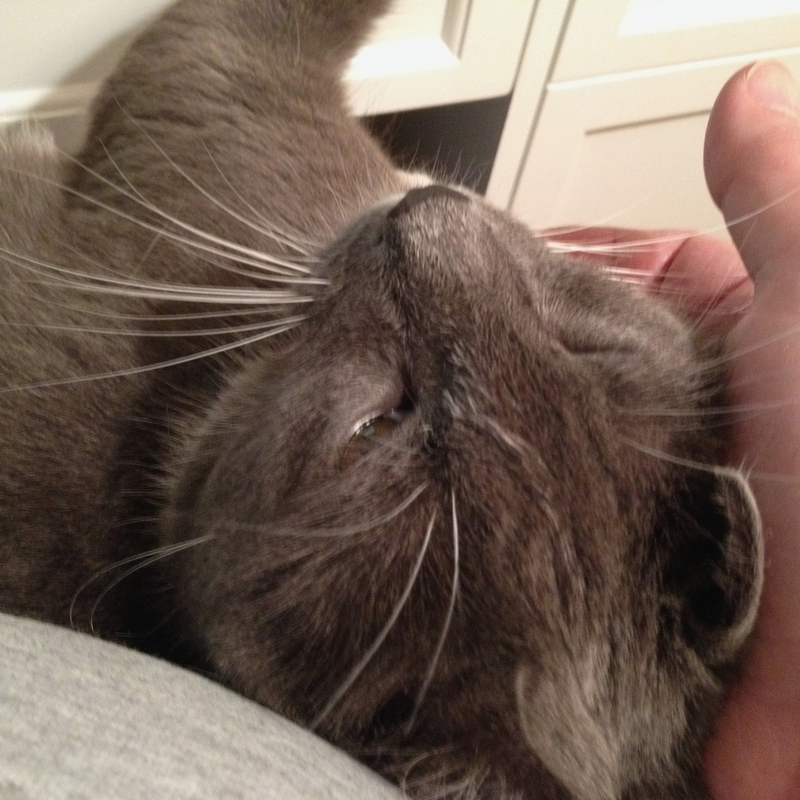 He is the elder (we think) of our two cat brothers, Sheffield and Sterling, sometimes referred to here as “Da Boyz.” This is the context–yesterday I started a new story. What it is or how it’s going to turn out is, for now, beside the point. What does concern us is the simple fact I had stolen the time for it from a period when I was supposed to be working on something else, and I had taken the time for that theoretical “something else” from other pressing projects. In short, I was writing in the mode of “guilty pleasure,” which is one of my favorite ways to do it. Seriously, I get some of my best work done when I’m supposed to be doing something else. A psychologist might make much of that, but I really don’t care. It’s just the fact, and being forced into early and I believe temporary retirement hasn’t changed that. Even if you’re one of the fortunate sods who earn their actual living from writing, the writing isn’t all you have to do. There will always be a limited time for it, and interruptions, even if you can set aside a scheduled 4-8 hour day, depending on how long you can can stare at a screen before the simplest words begin to look like a foreign language and your brain turns to mush. Even then things don’t always obey schedules. Toilets get clogged. Tires go flat. Shopping has to be done. Yardwork. Minor repairs. Painting (the trim and walls, not Art). Trips to the hardware store for the thing you didn’t realize existed before you found out you needed it. Remembering how to use a router table to recreate a missing baseboard. Laundry. Cooking. None of that goes away even if you have a partner; likely there will just be more of it, and if you think they’re going to take care of all that while you play with your imaginary friends and enemies, then you don’t live in the 21st century. Getting back to Sheffield (Did you think I’d forgotten?). Regardless, while writing on borrowed (okay, stolen) time, in strides the cat. Jumps into my lap somewhere around page three during the white hot fire that is often the beginning of any writing project. Demands scritches. Did you ever try to type with a fifteen pound cat lying on the keyboard? How’s that working out for you? About as well as it does with Sheffield, I’d guess. Sure, be a jerk and drop him on the floor, he just hops back up. Lock him out, and he pounds on the door. The cat will not be denied. As above, interruptions might have nothing to do with the cat, but they will always be there. So you have to stop and pet the cat, and then knock out a few more pages when he’s finally had enough. By now you might be wondering if there is a point to this. I wonder the same thing, but I’m starting to think there is. 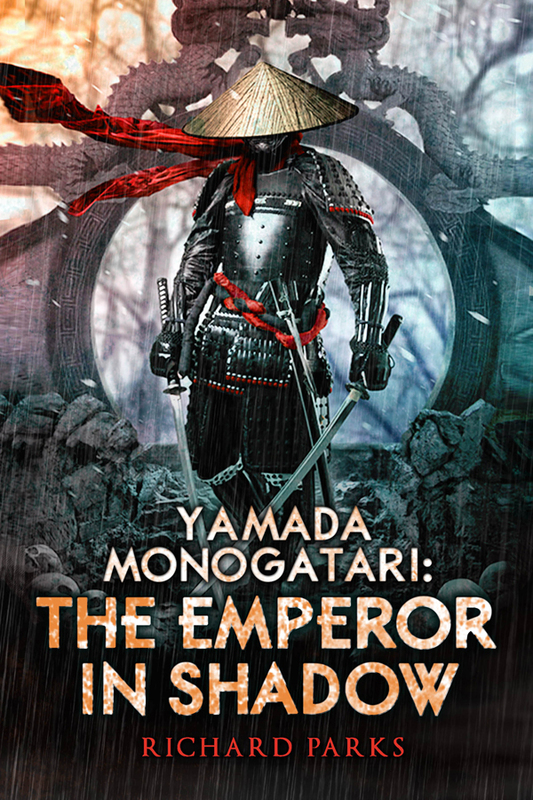 Especially when I consider the case of Yamada Monogatari: The Emperor in Shadow, the book was officially released this month, but I never would have gotten it written before the deadline if I hadn’t made it the top priority for the months it took to get it done. It did get done and I am rather pleased with it, but all that time I spent on it had to come from somewhere, and I took it from the time needed to get our new house in order. That part of my life frankly suffered, and now the priority is getting the house back on track. Which means that the time I took from one project to work on another to steal from that project to work on the new story was stolen time right from the start. What I said above about getting some of my best work done when I’m supposed to be doing something else? True, except I do all my work when I’m supposed to be doing something else. It’s all stolen time. Even when you schedule it. Even if it’s your job. Sometimes I’m amazed that any writing gets done by anyone. But it does. When it’s important enough to you, when it matters, it does, but only because we learn how to steal. This entry was posted in novel, Process, real life, Writing and tagged Lord Yamada, Sheffield, Yamada Monogatari: The Emperor in Shadow by ogresan. Bookmark the permalink.